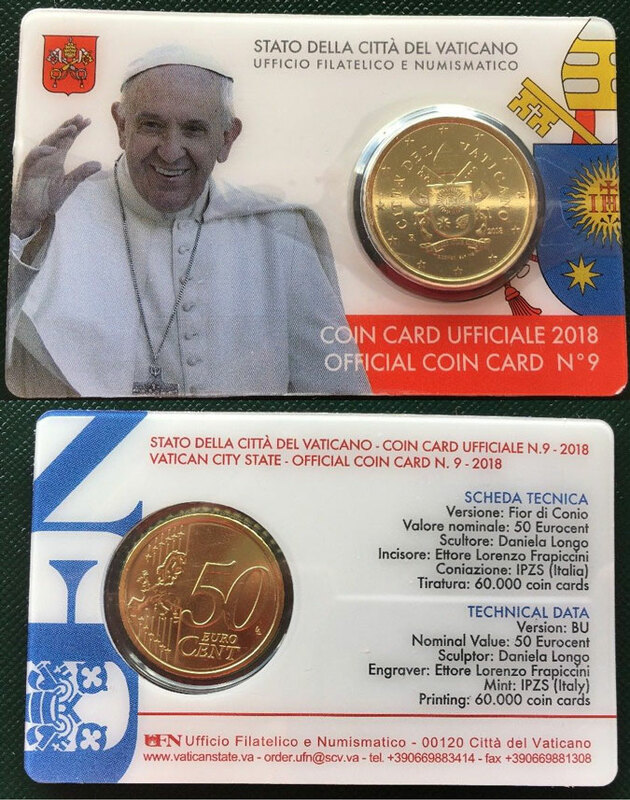 2018 Vatican City Coin Card (#9) featuring the 50 Cent Euro coin. Obverse features Pope Francis' coat of arms. Coin Card mintage is limited to 60,000 pieces.